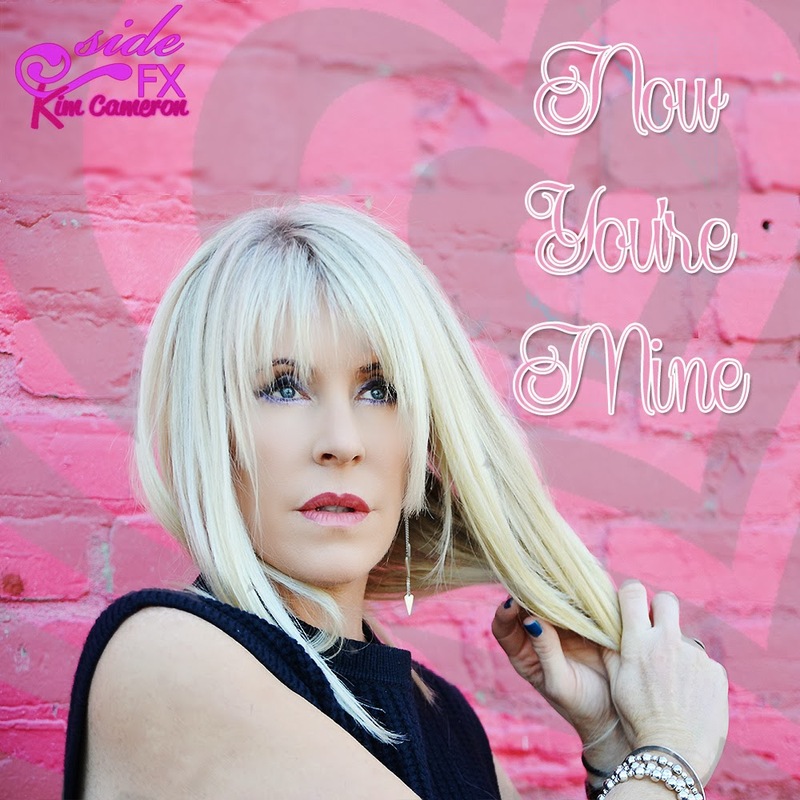 With only 6 weeks under her belt with the latest single ‘Now You’re Mine,’ Kim Cameron is proving that as an indie dance artist, no club is immune from her sound. This week, the new single hit #36 on Billboard’s Dance/ Club chart with a bullet. Also, announced this week was a coveted spot with the renown P.S. 22 Chorus. Yesterday, at their Staten Island, NY location, the students and Cameron took the new single to new heights, raising this indie artist’s bar even further. She joins the likes of Tori Amos, Crowded House, Daughtry, Carrie Underwood, Stevie Nicks, Katy Perry and a host of other national stars. Riding off the heels of her Top 20 Billboard success in October, Cameron released this new dance track with more drive than a racing car. Co-written/produced with powerhouse DJ Steve MrMig Migliore, and Billboard charting, Grammy-Nominated Mike Rizzo, this song has already been the talk of the underground electronica town. For more information, visit www.sidefxmusic.com. BROADWAY & NY THEATER Sing "Love"at Couture Fashion Week 2/15/14! Fall in love with theater and fashion all over again when they share the spotlight for a special love-insprired fashion collection headed by live singing from Broadway and New York theater's best at this season's New York Couture Fashion Week (couturefashionweek.com). The event will take place on Saturday, February 15, 2014 at The New Yorker Hotel in Manhattan. This portion of Couture Fashion Week is being produced by Andres Aquino, Broadway Sings for Pride founder Neal B (http://www.nealb.tv/) and Artists Proof Productions. All musical talent for this portion is affiliated with Broadway Sings for Pride. The official Couture Fashion Week After Party will follow the show with an array of Broadway and New York theater's best talent. BROADWAY SINGS FOR PRIDE is a non-for-profit charitable organization, which brings together Broadway talent, activists and celebrities to promote LGBT equality through song. Broadway Sings for Pride has raised thousands for the LGBT New York community. Among some of Broadway Sings for Pride's supporters: Tony award-winner Carol Channing, actor Channing Tatum, Grammy award-winner LeAnn Rimes, Tony nominee Adam Pascal (Rent). For more information, visit: www.BroadwaySingsForPride.com or on Facebook: Broadway SingsFor Pride. Couture Fashion Week, now entering its 18th season, has presented couture and luxury fashion shows multiple times each year in New York City and other selected cities since 2005. Andres Aquino is founder and producer or Couture Fashion Week New York (couturefashionweek.com). 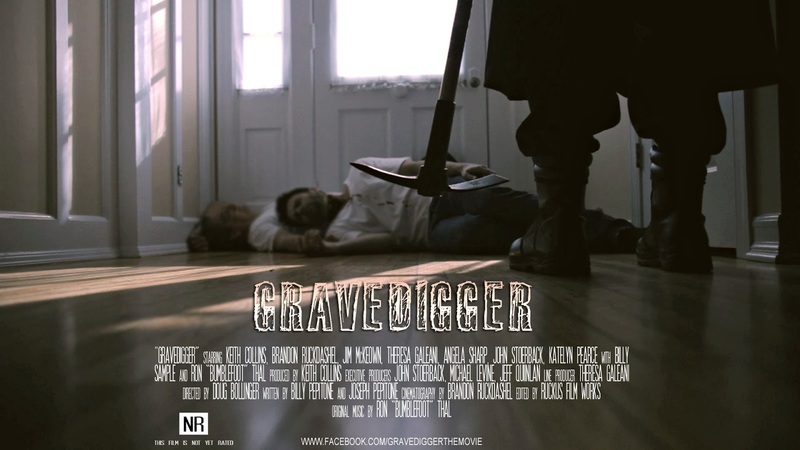 New poster & Trailer for the Horror / Thriller film Gravedigger is leaked out and we are digging it!!! check out the trailer link and see for yourself we give it our thumbs up high! Having a unique cast of a who’s who from TV personalities to sports players, reality stars, rock stars & many more, “Gravedigger” recently took home two coveted awards at the 2013 Downbeach Film Festival Atlantic City Cinefest for best Thriller Feature Film, NJ & Best Actor. “Gravedigger” tells the story of Steve Borden (Collins) who is a brilliant, young criminal defense attorney. As junior partner in a local, high end law firm, he makes his living defending the indefensible. When a case gone horribly wrong haunts him, Borden’s conscience begins to send him into a guilt-ridden spiral. Police Chief George Orkin (McKeown) is the town’s top cop. With more bodies turning up buried, District Attorney Mike Ruble (Ruckdashel) suspects Orkin’s ties to crime boss Charles Muzzatti (Stoerback) may be the answer to the case. Now, Orkin must deal with his own eroding sense of integrity to keep both sides of the law off his back. As paranoia rises and Borden, Orkin, Ruble & Muzzatti try to pin the murders on each other, could another, more sinister force be hunting them? Codes, morals and misguided views of justice collide when the law, the mob and the Gravedigger face off in a bloody battle that will darken the survivor’s souls forever. But will burying the guilty, bury the Gravedigger’s own guilt? Directed by, Doug Bollinger (“Waltzing Anna”,”Mail Order Bride”). Produced by, Keith Collins. Executive Producers John Stoerback, Michael Levine & Jeff Quinlan (“Bare Knuckles”). Co-Executive Producer Brandon Ruckdashel. Line Producer Theresa Galeani. Original Music by, Ron “Bumblefoot” Thal. Written by, Joseph &Billy Pepitone. STARRING:: Keith Collins (“Stuck in the Middle”,”The Meat Puppet”), Brandon Ruckdashel (“Co-Ed Confidential”), Jim McKeown, Angela Sharp, John Stoerback (“The Next Vigilante”), Katelyn Pearce WITH Billy Sample (“Former NY Yankee”) AND Ron “Bumblefoot” Thal (“Guns N’ Roses”). Alongside a well-rounded cast with many special appearances Including: Jim Leyritz (Former “NY Yankee”), Brian McRae (Former “NY Met”,”KC Royals”), Annette Dziamba (“The Apprentice”), Gregg Valentino (TLC’s “The Man Whose Arms Exploded”), Gervase Peterson (“Survivor”), Emilio Masella (Oxygen’s “Love Games”), Gary Garver (“formerly from the Howard Stern Show”), Mark Pinkhasovich ( NBC’s “The Biggest Loser”), April Hunter (“WCW”, ”TNA”), Anastasia Smith (“NY Majesty Lingerie Football League”), Theresa Galeani (“Cross the Line”, “I am Legend”), Joe Sernio (“All My Children”), Cindy Fox (“The Naked Cowgirl”), Adam (“Speed bag Scissorhands”) Salomon. “The Jersey Devil” is directed by two-time New York Emmy winner Joseph Pepitone (“Stuck in the Middle”). Written By, Joseph Pepitone and Billy Pepitone. Produced by, Cory Green, Jeff Quinlan, Joseph Pepitone, Keith Collins. Executive Producers Michael Billy, Jarl Haugedal, Dorothy Fucito, Debbie Philips, Charles Anastasia, Larry Salvato, John Camera and Frank Sepe.